Can Hair Dye Cause Severe Itching of the Scalp? Blondes may find it easy to darken their hair. 4 Can Hair Dye Cause Severe Itching of the Scalp? Blondes typically find it simple to darken their hair, and often can achieve the look they desire after only one hair color treatment. 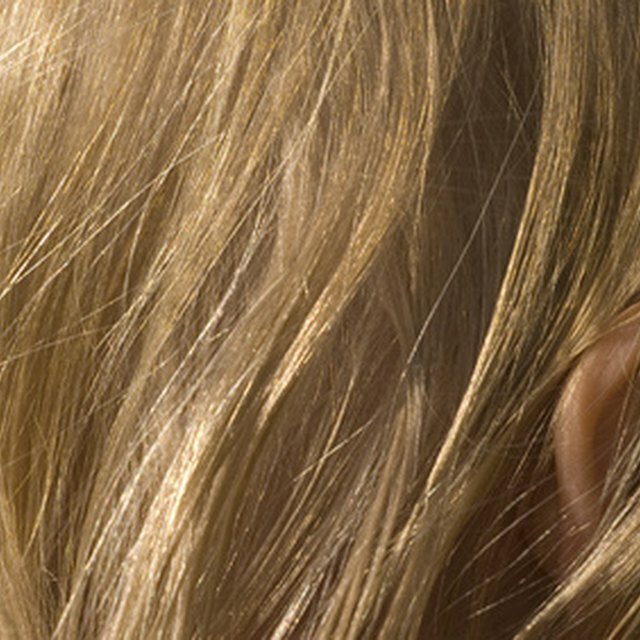 However, natural blondes often have fair-colored skin, and very dark hair colors may not flatter their skin tone. It is recommended that blondes start by darkening their hair to a light shade of brown. You should also ensure that you use a good quality hair dye to prevent any risk of damaging your hair. Prepare your hair for its color treatment by deep conditioning it two days prior to dying it. This will help prevent possible chemical reactions caused by the hair dye, as well helping achieve a more uniform color. Decide what type and color of hair dye you want. A semi-permanent dye will wash out in about six to 12 shampoos, and may be a wise choice if you are unsure about the color. Permanent hair dye will typically last until your hair grows out, although it will likely begin to fade over time. Mix the hair dye per the manufacturers instructions and generously apply it to your hair, working from the roots out. After the allotted time has passed, wash the hair dye from your hair, ensuring that you use the conditioner that came with your hair coloring kit.